The Dahlia Snap Bed solves the problem of having to sacrifice fashion and style in the bedroom due to difficult assembly, oversized components or costly expenses. The Dahlia is a neutral toned upholstered bed that blends classic and chic style that will fit into any decor. 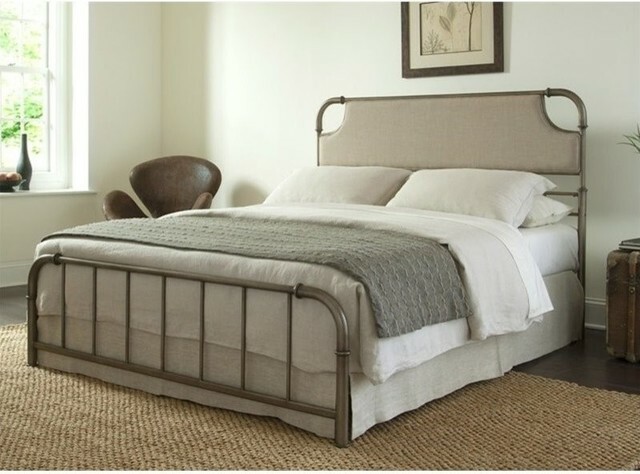 Constructed of carbon steel for strength and stability, the bronze accented aged iron finished frame is paired with the beige sandstone polyester upholstered headboard to complete this timeless design. W 57" / D 81.5" / H 48" / 62 lb.